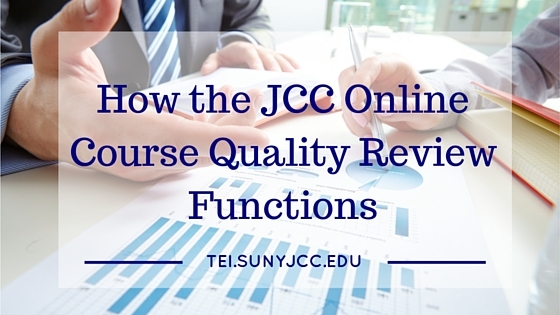 In an effort to continuously improve our online courses, JCC conducts online course quality reviews for initial courses as well as offers them for course refresh. We use a tool called OSCQR, which was built upon research focusing on successful student experiences. This presentation discusses the review process to include the team composition, each of the rubrics, and the final action plan. If you are interested in improving your course, please contact me and I will schedule your course for a quality review. This article explains more about the OSCQR process.